The basic requirement is that you have a topic that “lights your fire” and stimulates your creative thinking. This is the foundation that will make success possible as you share ideas, thoughts, and information with others through your writing. What could be better than earning money as a result of writing about something that you love, sharing your excitement with others, and making a difference in people’s lives? All of that is possible through a blog. Once you have established yourself as a high-quality, reliable and popular blogger, you can earn passive income around the clock from any location in the world – AND you no longer have to trade hours of your physical presence for dollars. It sounds wonderful – and it is! But . . . it takes dedication, consistency, and passion to be highly successful. According to the New York Times in an article title, “The Early Years,” the first blog was nothing more than a personal diary posted in January 1994 by Justin Hall, a Swarthmore student.. Ten years later it had become a new phenomenon. It didn’t take long for online marketers to realize it was an amazing way to build a brand, get the word out about products, services, opinions, ideas, etc. and to develop a following. One of the earliest and most well-known is the Huffington Post that launched in May 2005. 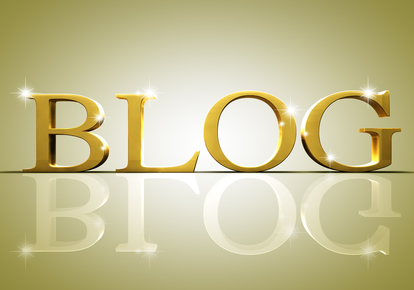 Since that time, blogs have become a powerful advertisement and promotional tool when used correctly. If you are considering this option, there are some important features to keep in mind, starting with the capability of archiving articles and postings on the blog. This makes it incredibly easy for customers and prospective customers to search and find topics and specific information they need about the company, the product, and/or the services offered. It is also easy for the marketer to create backlinks to their main webpage. So if the main website is www.widgetsforsale.com, it is easy to build a blog site that contains hyperlinks directing readers back to www.widgetsforsale.com. Many blogs accept comments from readers to get feedback from customers and readers. Comments can be very useful to help determine what your audience is looking for. They can also let you know when they are happy with your postings and products and when there is dissatisfaction – plus other concerns. Some bloggers choose not to set up a comments section. Depending on the type of blog and the topic, you may or may not want to use this feature. It takes time and a lot of hard work. There are no shortcuts or quick path to success. You have to work smart and be willing to wait for the benefits that will come if you are willing and able to make it in the long haul. Writing a post now and then with no regularity is not enough. If you want blogging to be your full source of income, you must think of it as a full-time job – and work at it as diligently as you would for any full-time job. Create and upload as much content as possible. Be willing to invest a decent amount of time and money to create a beautiful design for your site. Be consistent in your postings. You must update your blog regularly (preferably on a schedule) with useful, quality content to get a decent ranking on Google and eventually monetize your blog. Plus, your followers will begin to depend on it. If you are really successful, in addition to making a good income, there is even the possibility of becoming a minor celebrity in your niche. The reality is that the possibilities are endless, there is no upper limit to your success. You may be thinking, “This is the impossible dream.” Think again! It can be done – there are stats to prove that blogging can be highly profitable. The question is – are you willing and ready to make it happen?